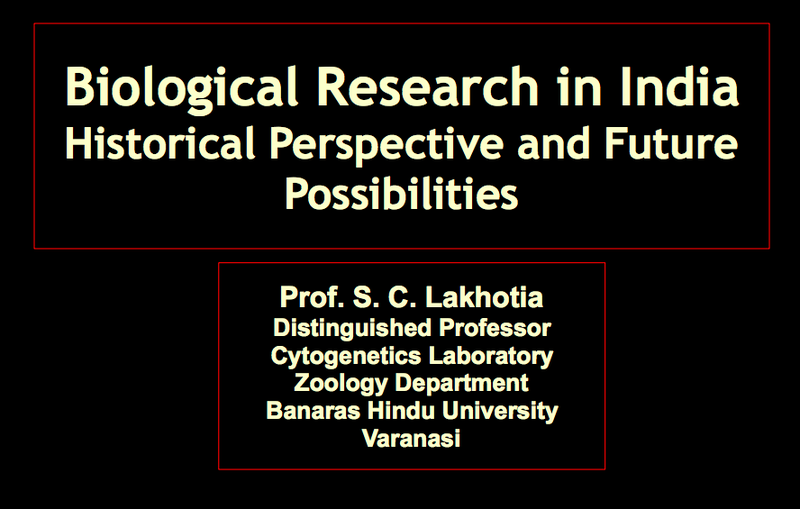 Slides from S C Lakhotia's presentation on history and future of biology research in India at YIM 2018. This video was created by Living Science, a special forum run by the young research scholars to facilitate conversations with prominent scientists. The original video (reposted here with permission from Living Science) can be found here.